The Old Timer Gunstock Trapper is a solid folding pocket knife with a good feel in your hand. The two blades give you versatility when you tackle those daily chores requiring a sharp tool. Schrade's Old Timer Trapper pocket knife features 7Cr17 high carbon stainless steel for durability. 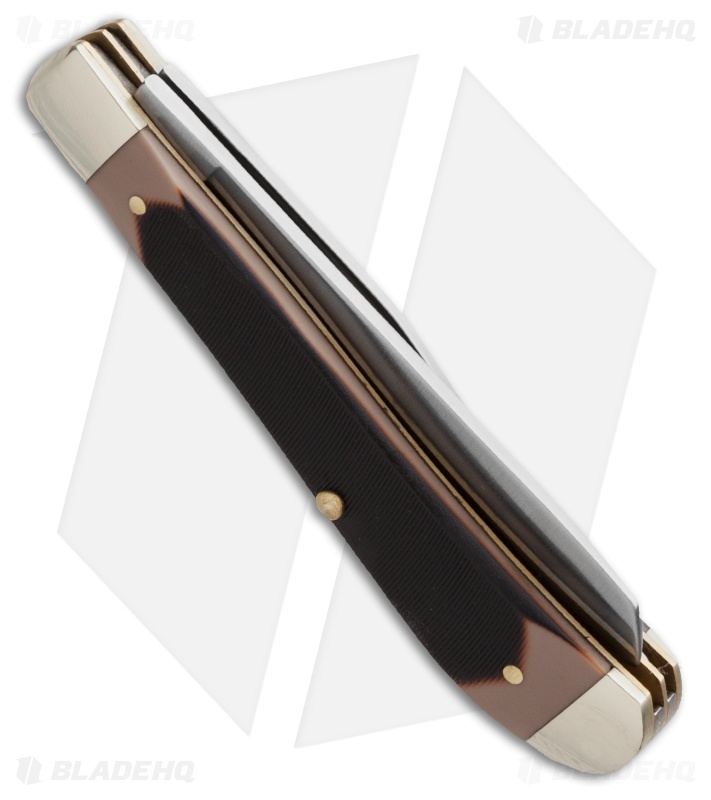 The spey point blade measures 3.125" and the clip point blade is 3.125" long. 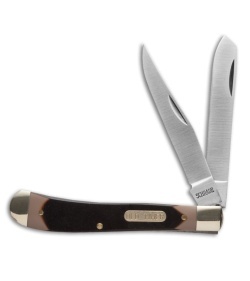 It's outfitted with gunstock sawcut handles. The brass pins over brass liners and nickel silver bolsters make this a handsome knife you'll be proud to carry.